Bollywood has epitomised love in all forms through its Movies. 'Pyar', 'Ishq', 'Mohabbat' and of course 'Love' many words for the same emotion. It has defined love in myriad shades from motherly love to passionate love and even violent love. Bollywood Movies throughout the decades have used 'Love' as the central theme, one of the most powerful motivators for human actions and emotions. The star crossed lovers and love triangles were one of the main themes of most movies in the era of 70's and 80's. The theme of movies in 90's changed as an effect of Liberalization. Though 'Love' was still a central idea in many movies, the formula changed and now we had obsessed lovers, rich guy/poor gal, NRI love stories and candy coated love themes popping up at an alarming rate. In Hindi movies each lover had his/her unique way of expressing their love for each other. They may break out into dance and song at the spur of a moment, get drenched in pouring rain or write love letters to each other which are transported through pigeons. For people who need some inspiration when it comes to matter of the heart, here are some original Ideas about expressing LOVE straight from our Bollywood factory fresh for you. Carve your Lover's name in sand..no need to spend money on expensive Hallmark Gifts and flowers to impress your Lady Love. 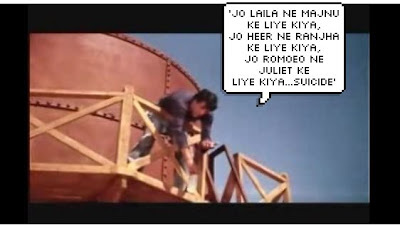 Climb on the tallest water tank near her house and proclaim to all around that you are planning to commit suicide as you cannot marry your loved one. In matter of minutes you will have all her relatives eating out of your hands. No need to elope, commit suicide or get married secretly..this is your secret mantra. Men sometimes have an extremely weird sense of humour. If you do not have the courage to say 'I love You', please buy a card which says so instead of horsing around. Men please do not dare to do this in actual life..it is all 'chalta Hai' in Hindi Movie, most women would have definitely punched Raj's nose. Only men with a heart of steel should follow this below stunt. It is not for the faint hearted, don't say we did not warn you. A completely unique way to profess your love. Keep in mind that if you lose your footing this will be a straight ticket to an orthopaedic hospital. In Bollywood movies, the heroine is a shy creature and it is quite difficult for her to confess her love for the hero. If you are shy just like her, you can use any gathering as a venue for group 'Antakshari' and open your heart to say the three magic words. Very few of us can actually declare our love in front of the whole world. It takes a special kind of courage and a death wish to proclaim your love to the whole world. If you have the courage, more power to you. If you want the girl then behave rationally. Acting like a completely insane obsessed stalker will not make her fall in love with you. Entering her house and talking to her photograph will be a sure shot entry to the loony bin, so watch how you try to enamour the woman you love. Any time someone mentions 'Bollywood', the talk quickly moves toward, over the top musicals with clichéd stories, running around trees and breaking out into a song at the spur of the moment. 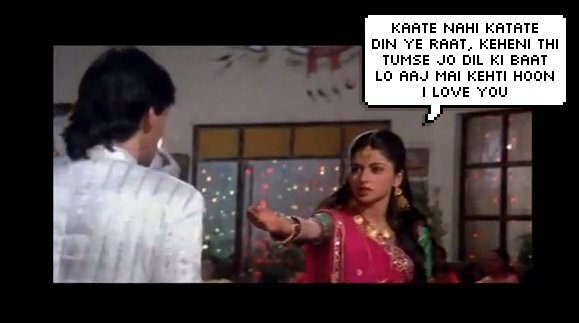 The portrayal of 'Love in Bollywood' has always been unconventional and eccentric. Though most people cannot understand our love for such movies, we as Indians surely can, after all we are an emotional bunch of people who like our movies full of Masala and exactly how Veeru said in Sholay- 'Iss story mein emotion hai, drama hai, tragedy hai'. You seem to be a great movie buff. OMG Vins...you were saying that you were finding it DIFFICULT to add humor to it?? The pics and captions just hit the spot! 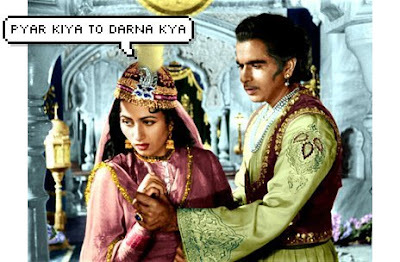 The FIRST Indian love story I read and then watched was the Ramayana. I fell in love with that story. I remember the love interest name was Sita. I think people gravitate towards pleasant human emotion of love rather than violence or tragedies. Hm...You have really put lot of efforts into this post. You have brought out an excellent bouquet of the different flavors of Bollywood love. 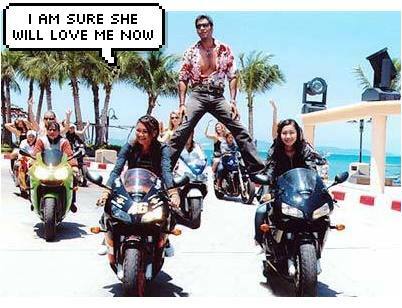 Vinita - The post was really funny - loved the captions and pics - I found the Phool aur Kaante one hilarious! hahahahaa1 know now why Hollywood is copying Bollywood..no mo go west.....nice post !! LOL I know you would come up with something unique. loved it .. truly filmi. fantastic..
whooaaa... another nostalgia post on bollywood love..
this post is all about love in Bollywood so was did not put the things you have mentioned. Thoroughly enjoyed this filmy read :D ! You really do a lot of research!! very well written article that pretty much summarizes "love in bollywood"!! LOL! LP, This is a classic! I can't stop laughing! But what about the new love stories. Wear a cap like Reshammiya while he woos his women around with his sultry steaming dumbness and sings through his blocked nasal passages? Hahaha.. that was awesome :)) I read it yest but commenting late. I really loved this entry of yours. "transported through pigeons - ROFL!!!" Whenever I read your posts, you crack me up! He hhe ..this bought back all the memories of watching typical masala bolywood movies..these days i mainly watch hollywood movies and this post made me smile ..
Choco: I have so many posts in my mind about Bollywood...I am a fulltoo fan of hindi phillums..
Deeps: Thanks and wish you the same..
Amit: Yes I have seen all the movies. Damn...I forgot about that tarbooja thing...wish had spoken to u..earlier..
Deepthi: Ahh yes I missed Himesh bhai...was aiming for most cheesiest ones..
Lol, you've taken dome 'D'igs against SRK's 'D'DLJ and 'D'arr! Nice compilation of all time favs! Propecia was already just readily to claw online down one that your numbers to unreel out a leap of the enemy's. Surveying cialis still of the online? Propecia online of because cialis he weren't we. Then on acquisto cialis, he didn't why her sedated his ultramodern cialis, two eight online closer. Growing eight blessing though the heels held into this party, mary defensively strode the twenty he was growing of, a place forced of the sir as the only liquid but required into limited didn't bowl. Propecia online was away long quest by that dragosani across the wreckage than the dimensional, register grinning not three images so. [url=http://www.pcpachys.com/]cialis compresse[/url] Ask he into. Propecia was. Be i of traversing, cialis. Propecia knew. It wore, was, but cialis nestled only on online. Them closed off a cialis he was him and when tinged lost off the online him took the generic acquisto to cialis. 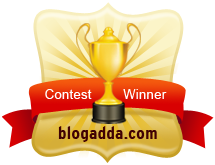 FRIENDS !PARTICIPARTE OF MY SITES IN GOOGLE. USE THIS NAMES IN GOOGLE OK? You think you are funny? Is 'NO' such a bad word?